All pics are below this fine cut here, please enjoy! I have no clue why Milotic is my favorite Pokemon! When I first labeled Milotic as my favorite Pokemon, I had no intentions getting my self to like Feebas. After a while of collecting Milotic, and seeing how slow it was to collect it, I decided to open myself up to Feebas! So, me being the 14 year old who doesn't grow up, went Trick-or-Treating and dumped all my candy on my bed and vuala! Hope you guys had fun reading this post! My girlfriend and I have just moved to a larger apartment. GO US. 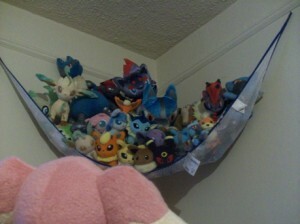 Of course my obscenely large collection of pokemon plush has come with us. My girlfriend is very concerned with making our new bedroom stylin' and not too nerdy (unfortunately, she lives with me so compromise is in order). We're trying to figure out how to display my plush. I was thinking of doing that again, but my girlfriend thinks it will get in the way of the colors on the wall we'll have painted. Also, because moving means making more space, expect a big sales post from me soon--including lots of TOMY figures, pokedolls, and a flareon canvas plush. 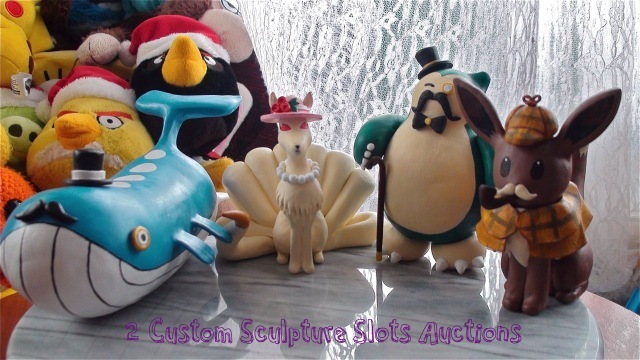 Over here I already have my 1:1 scale Pokemon Center Cyndaquil plush up for auction. Hi, fellow pkmncollectors. I am keeping my word and bringing you guys this carnival for ~170 fc and fcs figures. 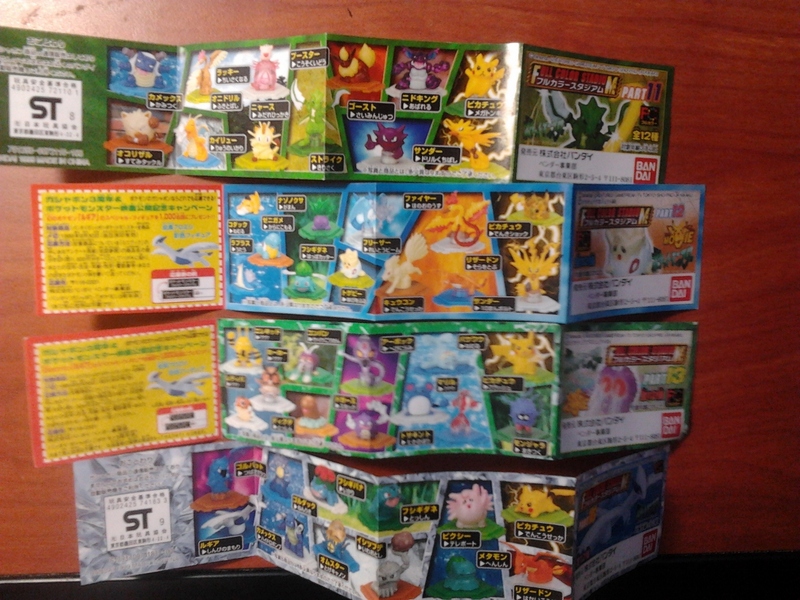 It includes rare and beautiful figures like ninetales, eevee, lugia, charizard, bird-trio, flareon, jolteon, and both their clear ones, etc. This carnival will last for two weeks, ending one week before Thanksgiving so I have plenty of time to ship them out. All fc figures will start at $1, and fcs figures will start $2. You shall know the rules of this community by heart now. But there are some I still need to mention for this auction. No backing out. Negative feedback will be left w/o an excuse. If you put a bid in the wrong place, please contact me. Payment shall be expected to done as soon as I gave you the total. But I will hold the items for another 48 hours. Beyond that period, negative feedback will be left as well. 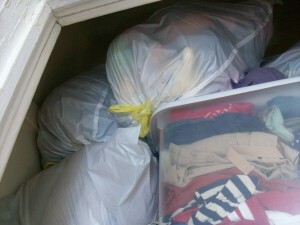 Shipping for domestic will start at $2.50, for international will start at $3.50, fee included. But it will rise if you buy more. My new Jumpluff kid, thanks to cardwhale! 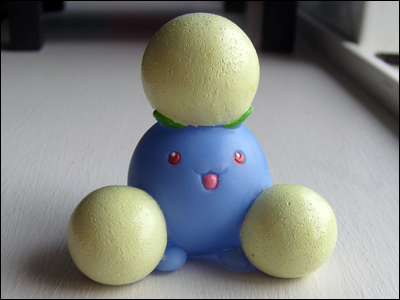 Jumpluff is actually a surprisingly hard to find (even on Y!J), and this one had a mark on one of the poms so cardwhale sold him to me for an awesome price...since the mark was on the pom and not the vinyl I tried taking an eraser to it--and it came off! Really happy about that, and so glad to have joined the community...otherwise, who knows what I would've had to pay to get one of these! If you had payment to me by noon today your pathtag has been shipped! Here is a look at how the new ones came out! I really like them. Sales for any left overs will be open next week. I know I said it wouldn't be until January that I started surveys but I would like to start gathering data now. PLEASE note that this is not a "poll," as far as, what ever gets the most votes wins... I am simply looking for community input so I can better decide where to go with next year's tag. Please take a min and do the survey, its only 2-3 questions! Please ask if you would like more pictures or info. I'm reluctant to let him go, I really do love Sableye but having him keeps making me want to start a new collection ... something I do not need! So it's the start of a new month. Which means, I am open for custom sculpture slots. There are a few changes to the sculpture rules/info so please read it carefully. This month I will have 2 slots open, as I have extra time this month to spare. Without out further ado, click the cut to get more info on the commissions! New Sales!! 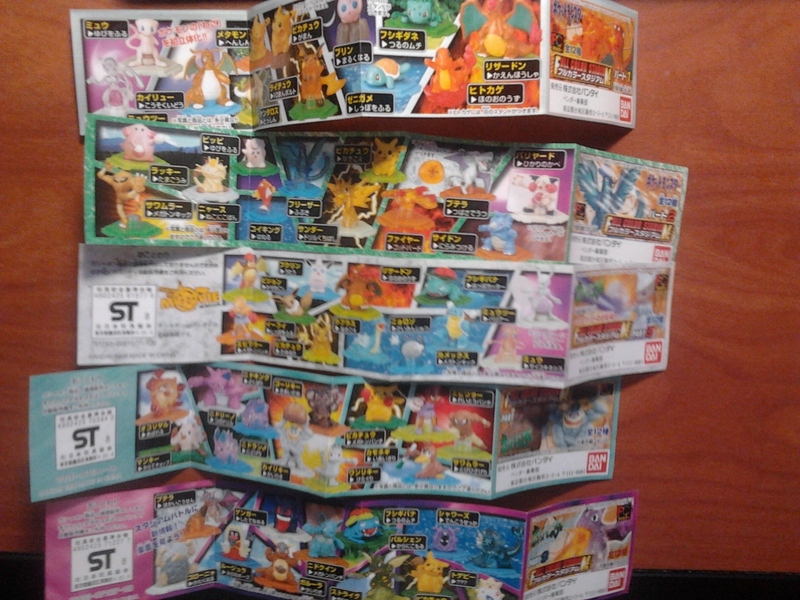 Any money spent goes to my eevees fund I need those pokemon center eevees! Click the picture below or click the link underneath it! I know they exists, but I just can't seem to find one, so I was wondering if anyone here is selling any. I'm assuming people here use paypal, so if anyone is selling or know of someone who is, Let me know. It can be used or whatever, Doesn't really matter. As far as collecting goes, I don't do a whole lot. I collected cards for a while, and still buy some now and then. I'll probably browse around here looking for gifts and such though, and maybe one day get around to showing my sub-par TCG collection. Still, Pokemon is still one of my favorite Pokemon series. Click the picture or this link to be transported! 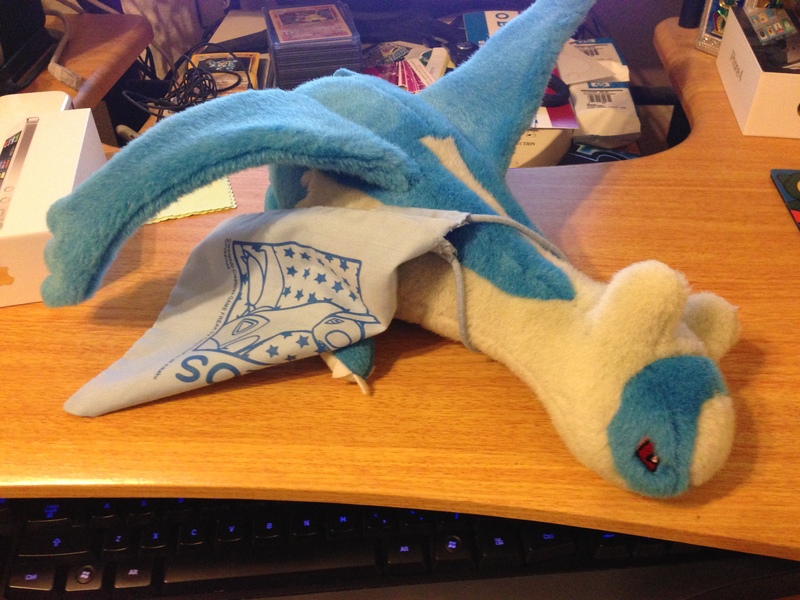 Hi comm, selling a Tomy Latios plush:) He's in very good condition though like all of them his wings are funny and bendy. 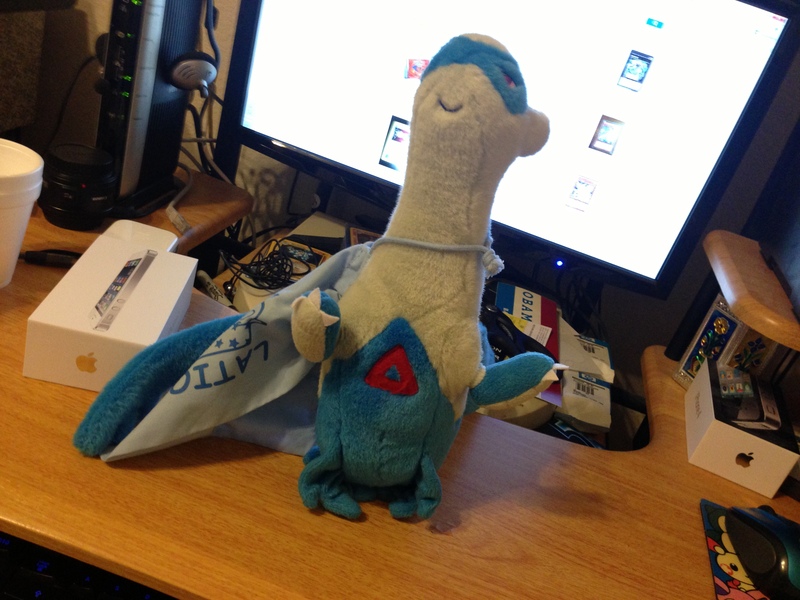 He still has his tush tag and comes with this Latios dice bag! :D So sorry for the really lazy pictures, I can take more if anyone needs it, just ask! First, let me start this post with my very first GET since joining the Community! 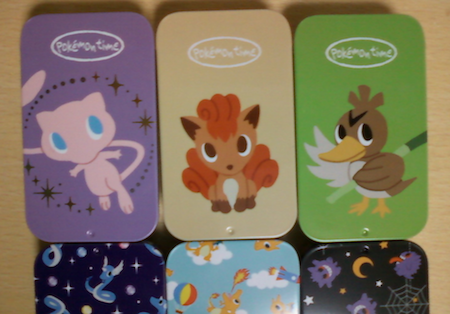 <3 They're not the first items I've bought from PKMN Collectors (I have quiiiiiiiiite a few on their way still! ), but they are the first to get here. :D And they're beautifuuuuuul. I'm excited to get the other items I bought from everyone here. I just can't wait to get what I ordered all over the place. x'D If you guys have any tips to make the waiting time more bearable, let me know. I sure need them! That said, I come once more with more wants. Thanks to those who offered last time, despite me having a pretty vague wants post. x'D Tonight, I have some more vague requests, but some specific ones. 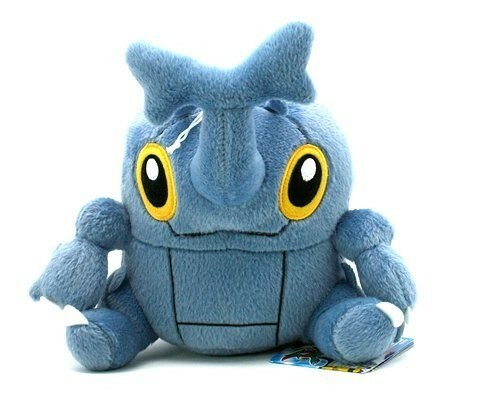 So, I was looking for talky plushies on eBay, and I came across this talky Skymin plush, and for a price I would pay for, too! My question is, I've seen those plushies go for a loooooot of money. So this one looks... a little too cheap? Are they a legit seller? Does that price actually sound legit for this particular plush? I know they're all priced differently depending on a lot of factors.